You are preparing for a big tough exam i.e. IIT-JEE. But you don’t know how to study in order to clear JEE. Don’t worry. Let’s have a look at some important study tips to clear JEE Main and JEE Advanced. 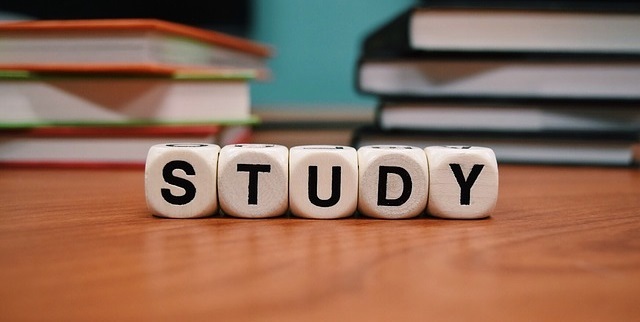 Plan your schedule – Study Routine. Set your goals to learn and understand. Study smart not just hard. Review previous learning before you study. Preview the topic or chapter. Don’t get afraid of lengthy vast chapters. Solve tests to assess your learning. Make a list of what topics you need to cover and when you’re going to cover them. Start your study schedule as early as possible. Make a time-table, simple one. Identify your best study time. Learn hard topics and concepts when you’re most alert. Students usually learn much more while reading and studying when they set specific goals to learn. When you read a chapter or topic, ask yourself questions and search for answers. Concentrate and pay attention to what you are learning. Many students will like to go for marathon study sessions, rereading books and highlighting their notes late into the night. The more effort the better, right? No, not so. Students who excel at both classroom tests and IIT-JEE aren’t necessarily those who study longest. Instead, they study smart – planning ahead, testing themselves on the concepts/topic and actively seeking out help when they don’t understand it. When you begin a study session, spend 4-5 minutes recalling past reading, past notes, and recent homework problems. The goal is to remind yourself of what you were thinking when you studied last. When you successfully do it, your brain will be ready to link the new information you take in today with the past learning. Have a quick glance at the topic or chapter that you want to read today like table of contents, index, preface, summaries, headings, and key paragraphs. You want to see the overall patterns before you study individual facts. Knowing the big picture increases your memory. Define a goal for the study session that’s doable and definite. For example, in the next hour, I’m going to read 2 sections of the 3rd chapter and practice the example questions that are given. What just happened? The daunting task just became very tiny and doable. Solving mock tests for JEE is helpful not only in recalling facts and concepts, but in easing anxiety on the exam day. Try to solve online mock tests as JEE Main and JEE Advanced will be conducted in online mode only. Your purpose for making notes is to make it easy for you to find what’s important when you study later. Revise daily, weekly and monthly to check your learning. When we hire a coach or mentor for anything, we accelerate the process of whatever it is we’re trying to accomplish. Because they’ve experienced the situation that we’re in before, they’re able to provide us with guidance. They help us to eliminate the guesswork. 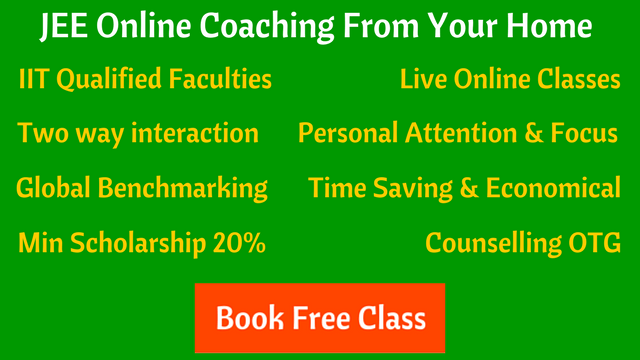 IIT-JEE online coaching from IIT qualified teachers, along with hard copy study material and online test series : Check out a free online demo class now. How to Study Smart for IIT-JEE?